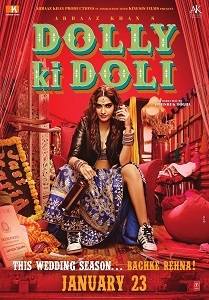 Review Summary: Dolly Ki Doli meddles with some laughs, on the capable shoulders of Sonam Kapoor. A one time watch. Thus, looking at its script which keeps running on and on without settling down at any point the movie should have been renamed as 'Bhaag Dolly Bhaag'. Watch this one for fun on the run. As long as you're not light-laugh-lactose intolerant. Had the filmmakers worked a little harder, 'Dolly ki Doli' would’ve turned into something spectacular. It's good, but not great. Though Dolly Ki Doli doesn't qualify as an awful movie – it’s not tacky and is often funny - it does, regrettably, end up as forgettable fluff and a hugely wasted opportunity. Dolly Ki Doli could have been spunkier, funkier and all things better. Watch it only for Rajkummar Rao, Varun Sharma and Archana Puran Singh. The movie is light hearted yet brings out profound depths through certain characters and situations. A con fake cinema where a tall and beautiful Sonam Kapoor dumps the rich Dulhaas all over but not a single proper picture of the ‘shaadi’. 'Dolly Ki Doli' comes with such wisdom. Soon, it emerges that Dolly has known Robin Singh also. Dolly Ki Doli isn't great but isn't all the bad either. The story works mostly for the social satire that it is on the nation's obssession - Marriage. Should you watch the film? Yes, for the idea and some entertaining performances. The film is packed with decent acting and a witty story. And such films do find audience in smaller centers but will they turn up to watch this one over a gritty thriller is not a tough question to answer.Go for this one if you want routine comedy drama! A no-brainer that you can enjoy with your family. Dolly Ki Doli may have nothing new to offer but it surely makes up for a decent weekend watch. Go gatecrash Dolly’s multiple weddings this weekend! Left to the pretty faces, a film that could have been a charming caper ends up to be a simple disappointment. ll have been the thief of Oye Lucky, Lucky Oye but Dogra wastes the opportunity. You will be entertained (well, if you have reasonably low expectations) and just leave your brains at home. 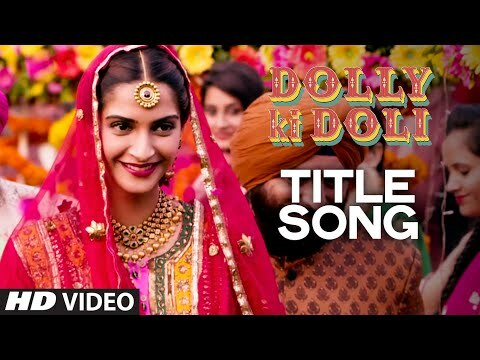 Dolly ki Doli’ is saved to some extent by the humorous dialogues and actor performances, but the scams that it presents are too artificial and the end is so predictable.